Abstract : Cultural heritage artifacts often contain details that are diffcult to distinguish due to aging effects such as erosion. We propose the revealing flashlight, a new interaction and visualization technique in spatial augmented reality that helps to reveal the detail of such artifacts. We locally and interactively augment a physical artifact by projecting an expressive 3D visualization that highlights its features, based on an analysis of its previously acquired geometry at multiple scales. Our novel interaction technique simulates and improves the behavior of a flashlight: according to 6-degree-of-freedom input, we adjust the numerous parameters involved in the expressive visualization - in addition to specifying the location to be augmented. This makes advanced 3D analysis accessible to the greater public with an everyday gesture, by naturally combining the inspection of the real object and the virtual object in a co-located interaction and visualization space. 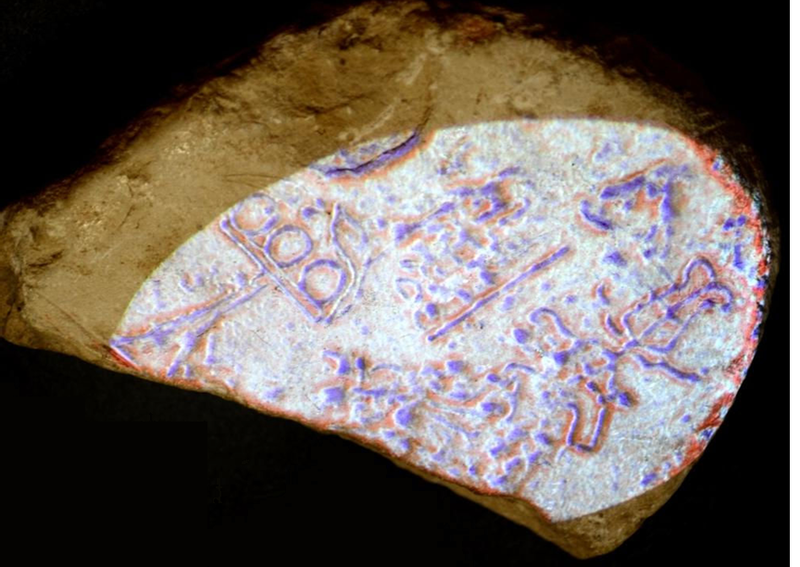 The revealing flashlight can be used by archeologists, for example, to help decipher inscriptions in eroded stones, or by museums to let visitors interactively discover the geometric details and meta-information of cultural artifacts. We confirm its effectiveness, ease-of-use and ease-of-learning in an initial preliminary user study and by the feedbacks of two public exhibitions.